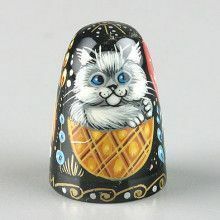 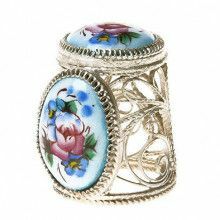 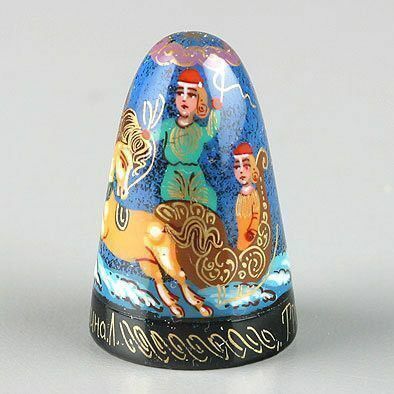 This collectible thimble is about 1 1/4" tall. 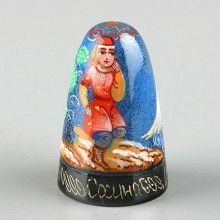 It was carved out of solid piece of wood and hand-painted with miniature painting techniques. 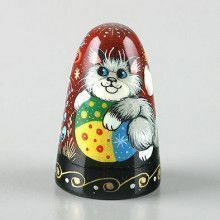 Every brush stroke is very detailed. 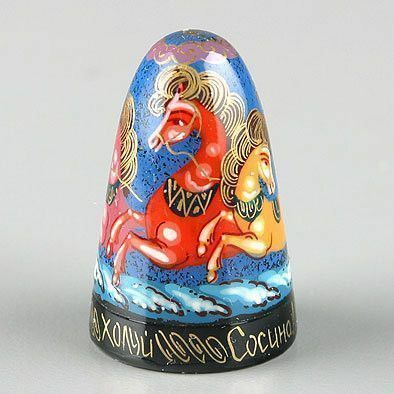 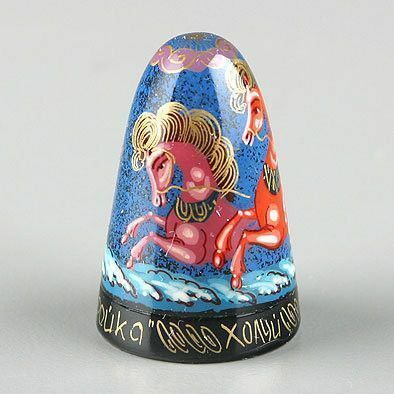 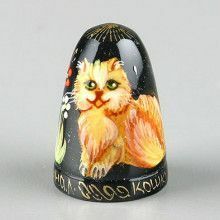 On the rim of the thimble there is this artist's signature and the name of the city "Kholuy".